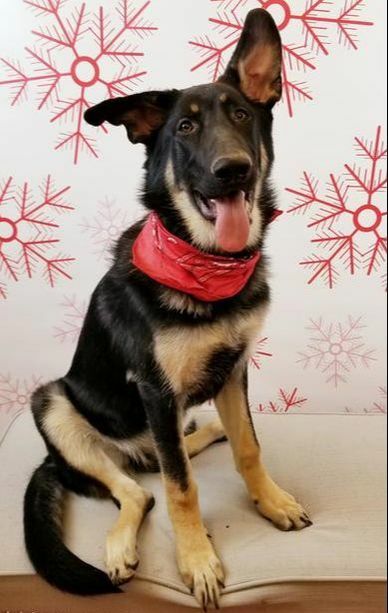 committed to saving and protecting unwanted animals by educating the community, adopting to responsible homes, and providing lifelong support for our adopters. We're happy you decided to visit us! Lucky Tales Rescue, Inc. is a rapidly growing 501 (c)(3) tax exempt rescue based in Kentucky and established in 2015. With love and determination we ensure proper placement by matching animals with appropriate​ forever homes and helping the animals on the road to an amazing new journey. Please take a look at our adoptable animals who are awaiting their 'furever' family and their own Lucky Tale. 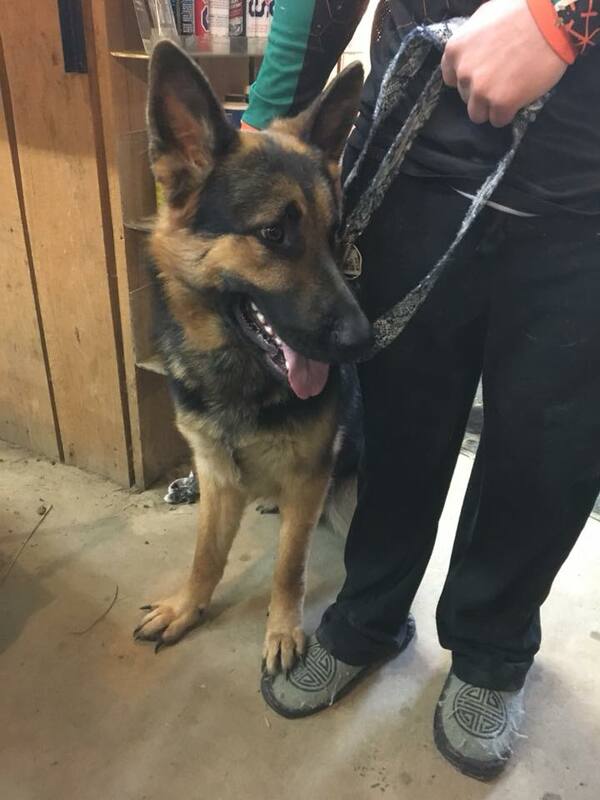 If you follow us on Facebook, you've undoubtedly heard about Kimber and Gunny, two German Shepherd dogs that we rescued at different times. 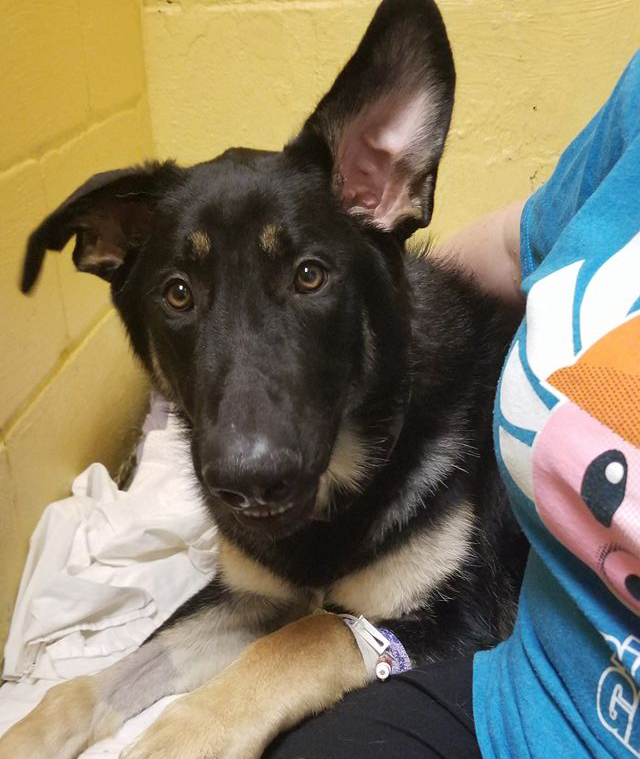 Kimber is the German Shepherd puppy who needed double hip surgery if he ever wanted to live a normal life. Gunny is just a little older than Kimber and, as we just discovered, was probably poisoned at some point and whose liver is now failing. If you would like to know more about Kimber, you can visit our Kimber's Journey page on Facebook. 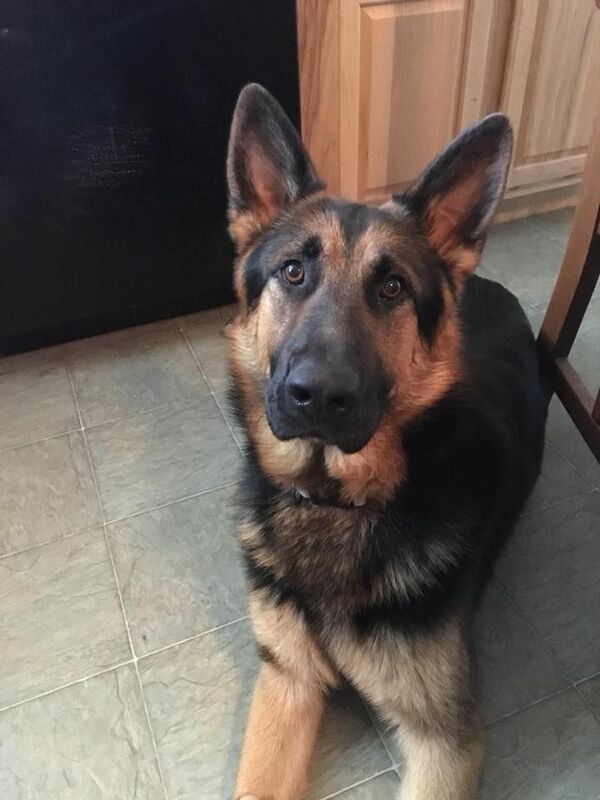 We do not have a Facebook page for Gunny as of yet. 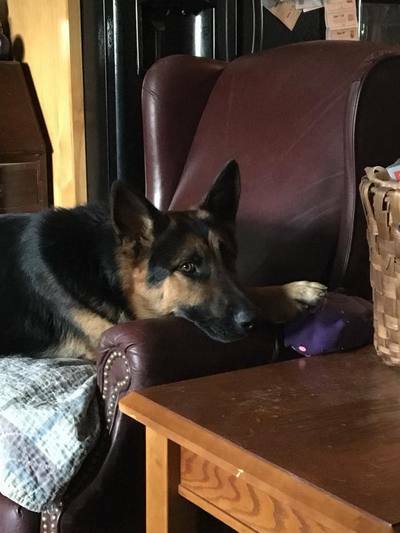 Gunny's appetite and outward appearance would have you believing he's perfectly fine - but he's not. His eyes are yellow indicating jaundice and his urine is dark. We discovered the problem because one morning he woke up unable to see. How terrifying for him. We are still in the process of diagnosis and medical treatment for him. Our fingers (and toes and paws) are crossed! Whether on humans or animals, there are always risks involved with surgical procedures and there are always undetected medical issues that could be present. The advantage we have as humans is the ability to speak. We hope that when our loved ones get wheeled back to the OR or when they get those tests done that they emerge afterward with only a positive prognosis but, realistically, that doesn’t always happen. These puppies are proof positive of that. Nobody could predict that these situations would arise. There have been many questions, not many answers, and the medical bills are still rolling in. 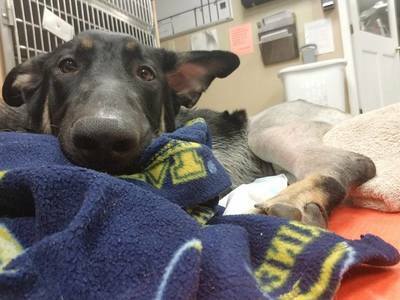 These dogs are troopers, though, and we are optimistic that they will make a full recovery. With a zest for life seldom seen in a lot of injured animals, Kimber is making amazing strides and is on his way to a full recovery despite the numerous obstacles he faced in his young life. We are hoping the same for Gunny. So, for the first time, we are begging. We need help. If you would like to help us with medical costs for these two shepherds, please use the link below to donate or visit our How To Help page. If you're unable to help financially, your willingness to share our Facebook posts, or this page, is tantamount to us continuing to do what we are passionate about - rescue. These companies care about communities. They care about charitable causes - like Lucky Tales. 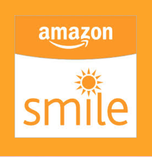 ​Please help us by using these links when you shop. 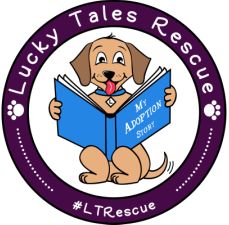 Whenever you make a purchase, a portion of the sale will be donated to Lucky Tales! 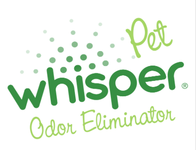 Whisper Pet is a new company committed to helping charities. They donate a portion of each sale to pet rescue regardless of what size bottle is purchased. Use this link to help Lucky Tales. 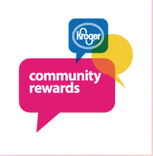 Buy gift cards to famous name restaurants, shop for clothes, household items, and just about everything! Lucky Tales receives a donation if you shop through their portal. Check it out! 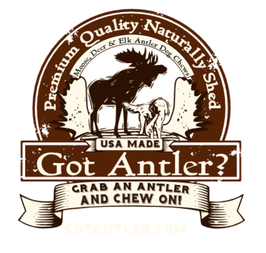 .We'd like to give our heartfelt thanks and appreciation to GotAntler for providing Kimber with his favorite treats while he slowly heals from multiple surgeries. Please check out our friends at Doggie Paddles! Your dog will thank you. Psst... if you read this book, you'll find that Lucky Tales is mentioned in it!